Pick Yo to The Rescue ! 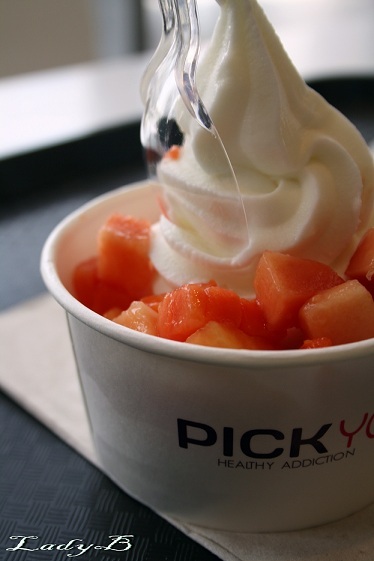 The other day I was treating myself to some frozen yougurt and suddenly I was craving papaya I tweeted about it wishing that it would be served as a topping! Family Nest's Queen & The Triple had the same thought as well ! The lovely owner of Pick Yo springed into action and promised to make it! Yesterday me, Queen & her lovely princess had a date with papaya to try it out unfortunetly the triple F couldn't make it ! 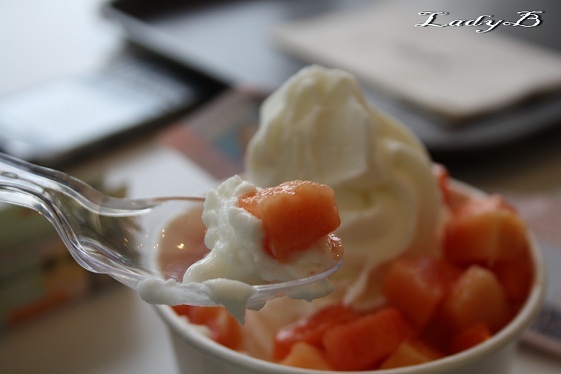 However, we got to sample the new topping which gonna be their weekend special by the way and it was superb due the texture of the papaya that makes it go smoothly with frozen yogurt without getting firm.. 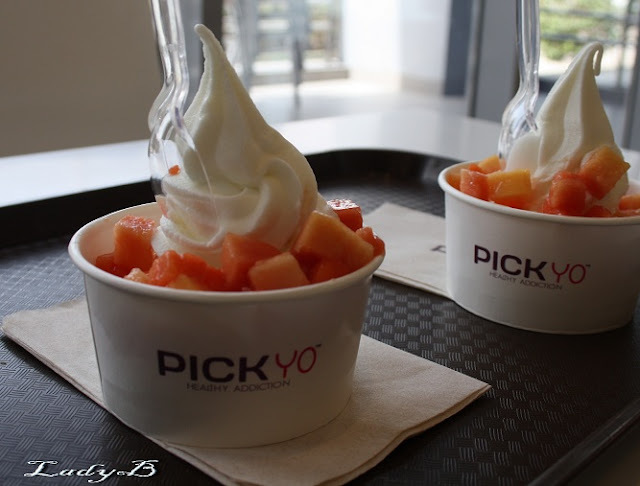 Thanks alot to Pick- Yo owner for his kind hospitality, and for taking our suggestion in consideration. It's a pleasure and an honor to spoil our customers. We have to thank you for suggesting such a wonderful topping that goes really well with our yogurt and has so many benefits as well. Please kindly advice if you have any other branches abroad kuwait.